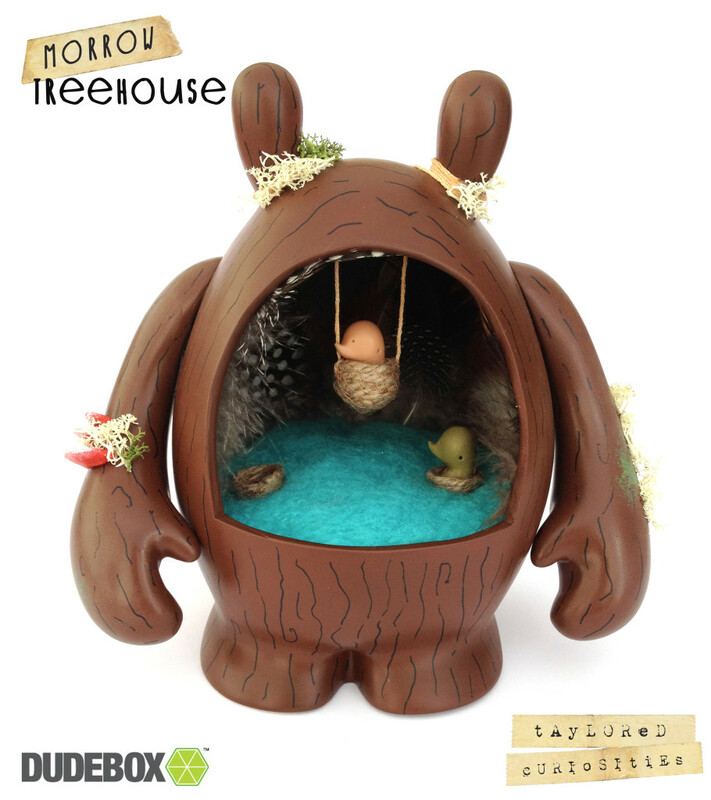 This is the Morrow Treehouse. 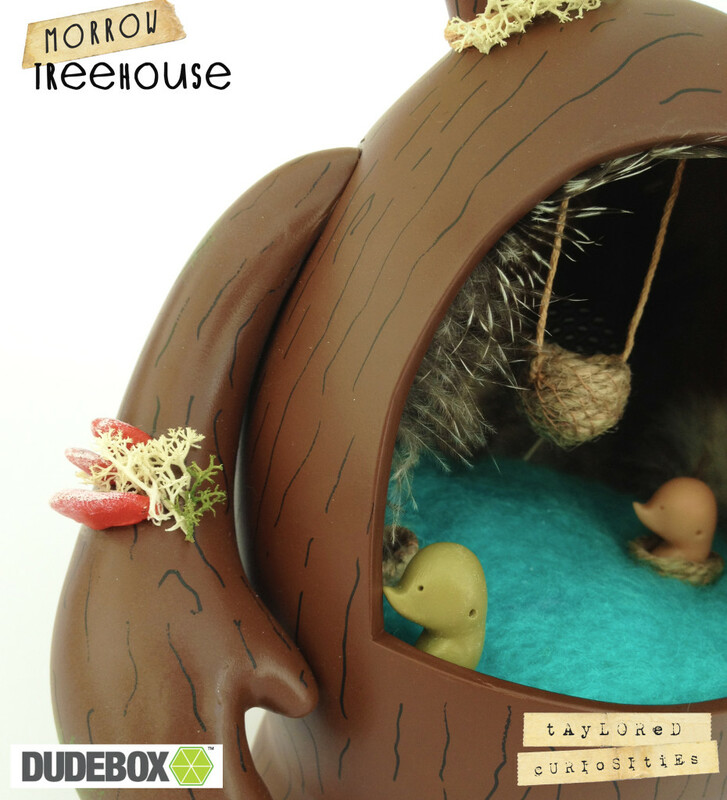 I have used the 7.5″ Dude to create a functional treehouse for my tiny Morrow creatures. Hollowed out, I have needle felted a comfy floor that is surrounded with feathers and has two hand made nests set in, perfect for the Morrow. A working swing hangs in the middle. The Dude has been painted with hand detailing to give it a tree effect and is adorned with sculpted fungus, hand embroidered leaves and moss. 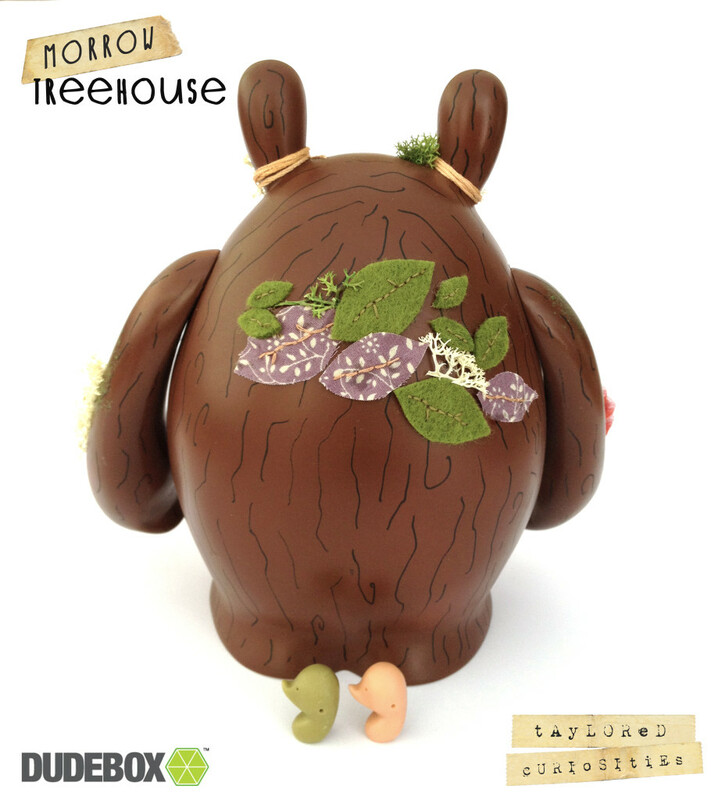 Two Morrow are having fun playing in the treehouse. These measure just under 2cm and are hand cast from my original sculpt. The Dude is signed and dated underneath”.All my Morrow works come with a mini concertina book with a back story.